Last fall we were delighted to select Olivier Jourdanet as the winning design for the #PhillyLovesBowie 2019 logo. What we didn’t know at the time was Olivier was a truly amazing artist with decades of creative experience under his belt … and that he was a MAJOR Bowie fan, living in France! Once we began fine-tuning the logo and pin designs for this year, Olivier shared with us a separate project that he had been working on for a while – DAVID BOWIE: A PLAYLIST IN PICTURES. This deluxe box set is finally completed (just 1,000 sets!) and celebrates Bowie through his work, his songs, and his metamorphoses. The set includes 15 original prints, each of them illustrating one of Bowie’s songs. Each hand-made print is approx 6×9″ in size. Olivier has given us a limited number of box sets to offer #PhillyLovesBowie fans, with proceeds going to the Bowie Fund to benefit the Cancer Center at CHOP. 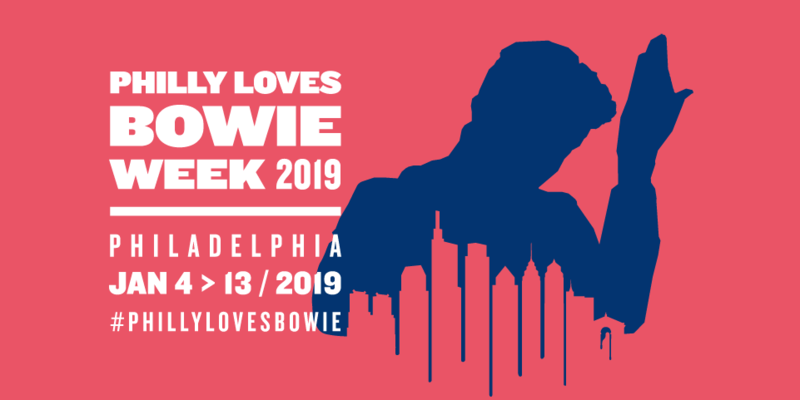 Thanks to everyone who participated in #PhillyLovesBowie week 2019 … we had multiple sold-out events and you truly could feel the love for Bowie and each other day after day during our ten-day celebration of The Starman.